As I have mentioned on other pages on this site, including the About Me, I really love bacon in everything and anything including desserts. 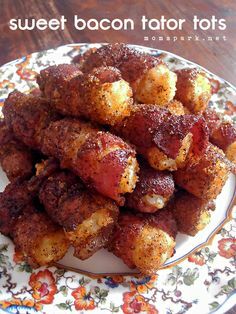 Although one of my favourite ways to enjoy a sweeter twist to bacon is Candied Bacon (made using brown sugar and cinnamon), however I found this site called The Republic of Bacon that has a page devoted to various recipes of bacon desserts. There are far too many on the site that I want to try out to mention, so I thought I would just pick out a couple that really stand out to me and that are the ones I am most likely to try out first. The idea of bacon and toffee together sounds too good not to try and there is a link and recipe for that and as one of the biggest fans of chocolate brownies on the planet – I really have to try the bacon brownies! Besides those, the one that really stood out to me and sounded like something Heston Blumenthal would concoct in his lab was bacon ice cream. I am not the biggest fan of ice cream. I don’t love it, but don’t hate it either. I imagine though that once I tried bacon ice cream, my mind would change though ha-ha! 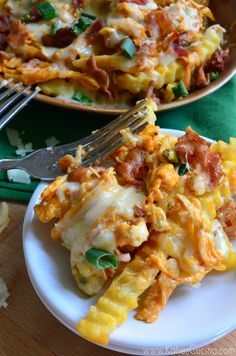 Although as such a big fan of bacon I wouldn’t complain about any of these recipes, I am less interested in the ones where bacon is just used as a garnish or afterthought as much as I am in the ones where bacon is really incorporated and used to baconise (that is definitely a real word, I checked and double-checked*!) whatever the dessert is. I like the idea for instance of taking the good old classic apple pie and adding that salty, smoky baconness (also a real word*!) to it or the bacon cheesecake. 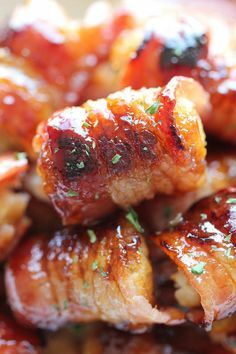 I suppose the main thing I like about all these bacon dessert recipes and the concept in general is that it’s a way to squeeze a bit more bacon into life and a great way of bridging main meals, breakfasts and lunches together with puddings and desserts. Watch this space because when I get the time to try any of the recipes out I will undoubtedly snap some pictures to upload with a post about how I got on and most importantly whether they tasted as good as they sound. 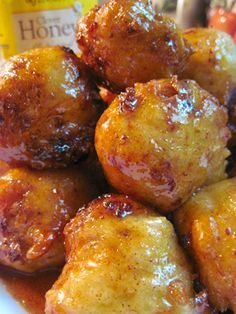 To inspire your own exploration into bacon desserts check out the list of recipes here and be sure to send any pics or links you have of your efforts! We all like to dream don’t we? Well amongst my biggest dreams at the moment are what I’d like my kitchen to be like, and most importantly what will be in my kitchen when I eventually find and move into my new house. In the following post I just wanted to play out the fantasy a bit and talk about the products I have earmarked as important components for my dream kitchen. In my opinion no kitchen is complete without a totally amazing coffee machine and after a lot of searching I think I have found the one I would like the most. It is not the most expensive, nor is it really the fanciest, but it is one that I fell head over heels in love with the minute I saw it. It is also the best rated machine on Amazon. The thing that became clear when I was looking at coffee machine that there was a lot, but a lot of people rave about Chemex products and they are considered to be a pristine coffeemaker. They make use of all the right methods necessary to perfectly brewing coffee. The great thing about the above coffee machine is that it has no moving parts and is guaranteed to work forever, unless it is dropped, smashed or broken in some other way. I love how it looks and Illinois Institute of Technology seemed to agree as they shortlisted it as one of the 100 best designed modern products. I think it’s a great touch with the collar made out of polished wood and the nice leather touch that give it a very old-fashioned look. Obviously as a fan of bacon and eggs, there was something else I definitely need in my kitchen. This is a toaster that cooks a ½ tin of baked beans as well as your toast to go with it. It can also be used to boil or cook some eggs, if that’s what you fancy. Although this is obviously aimed at the busy working singleton, campers and students – I love quirky appliances and gadgets and love the idea of doing some toast and eggs at the same time from the exact same machine. The one thing I hate about most toasters is when you are making crumpets, bagels or English muffins and have to try and fiddle to pull the toasted loveliness out and end up burning your fingers. Well another advantage to this toaster is the toast-lift feature which means burnt fingers are a thing of the past. There are a couple of other things I have my eyes on. 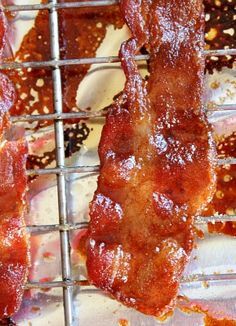 Since I love bacon so much, my girlfriend suggested that I should try making some at home and I really love the flavour of smoky bacon – so what would be better than having my very own smoker in the kitchen? Nothing at all, that’s what! This one looks pretty good and it performs the functions of 3 different appliances so that helps reduce space. So I could roast, grill and smoke meat – particularly bacon. If I am going to start making my own bacon in my own house, I need something to slice it before I smoke it and that’s why I would have something like this Food Slicer by Andrew James. The great thing about this is that I could use it to slice the bread, bacon, tomato, onion and whatever else I want for a great sarnie or butty!